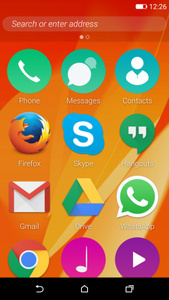 Mozilla has announced the launch of Firefox OS 2.5 Developer Preview for Android, an experimental build aimed at devs. Pin the Web: Pin the Web removes the artificial distinction between web apps and websites and lets you pin any website or webpage to your home screen for later usage. The Developer Preview is an app that lets you run and test out the Firefox OS as a home screen on your Android device without needing to flash the operating system over your existing Android OS. If I could get a Firefox OS based phone here in Canada, I would totally use it.